Not to be confused with fondue. Fondant icing, also commonly referred to simply as fondant (/ˈfɒndənt/, from the French: [fɔ̃dɑ̃] listen (help·info)), is an icing used to decorate or sculpt cakes and pastries. It is made from sugar, water, gelatin, vegetable fat or shortening, and glycerol. It does not have the texture of most icings; rolled fondant is akin to stiff clay, while poured fondant is a thick liquid. The word, in French, means "melting," coming from the same root as fondue and foundry. However, what the French call "fondant" is sugar glaze, which has to be applied hot on pastries like "mille-feuille," while fondant icing would be referred as "pâte à sucre," meaning "sugar dough." Poured fondant is a creamy confection used as a filling or coating for cakes, pastries, and candies or sweets. In its simplest form, it is sugar and water stabilized with gelatin and glycerine. It is cooked to the soft-ball stage, cooled slightly, and stirred or beaten to incorporate air, until it is an opaque mass with a creamy consistency. Sometimes lemon or vanilla is added to the mixture for taste. Other flavorings are used as well, as are various colorings. An example of its use is the Cadbury Creme Egg, the filling of which is inverted sugar syrup, produced by processing fondant with invertase. Fondant fancies are a type of cake typically coated in poured fondant. Rolled fondant, fondant icing, or pettinice, which is not the same material as poured fondant, is commonly used to decorate wedding cakes. 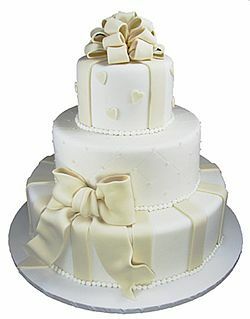 Although wedding cakes are traditionally made with marzipan and royal icing, fondant is increasingly common due to nut allergies as it does not require almond meal. Rolled fondant includes gelatin (or agar in vegetarian recipes) and food-grade glycerine, which keeps the sugar pliable and creates a dough-like consistency. It can also be made using powdered sugar and melted marshmallows. Rolled fondant is rolled out like a pie crust and used to cover the cake. Commercial shelf-stable rolled fondant often consists principally of sugar and hydrogenated oil. However, different formulations for commercial shelf-stable fondant are available and include other ingredients, such as sugar, cellulose gum, and water. Marshmallow fondant is a form of rolled fondant often made and used by home bakers and hobbyists. Marshmallow fondant is made by combining melted shelf-stable marshmallows, water, powered sugar, and solid vegetable shortening. Home bakers use this recipe for homemade fondant due to the readily available access to required ingredients. Sculpting fondant is similar to rolled fondant but with a stiffer consistency, which makes it a good sculpting material. Sugar paste or gum paste is similar to rolled fondant, but hardens completely—and therefore is used for bigger cake decorations, such as bride and groom figures, bigger flowers, etc. Sugar paste is made mainly of egg whites, powdered sugar, and shortening. Tylose can be added to make gum paste more pliable for detailed work. Poured fondant is formed by supersaturating water with sucrose. More than twice as much sugar dissolves in water at the boiling point as at room temperature. After the sucrose dissolves, if the solution is left to cool undisturbed, the sugar remains dissolved in a supersaturated solution until nucleation occurs. While the solution is supersaturated, if a cook puts a seed crystal (undissolved sucrose) into the mix, or agitates the solution, the dissolved sucrose crystallizes to form large, crunchy crystals (which is how rock candy is made). However, if the cook lets the solution cool undisturbed and then stirs it vigorously, it forms many tiny crystals, resulting in a smooth-textured fondant. The appliqué method uses one or more layers of cutout rolled fondant pieces to provide color and depth. ^ "How to Make Rolled Fondant (Bold Baking Basics) - Gemma's Bigger Bolder Baking". Gemma’s Bigger Bolder Baking. 1 August 2016. Retrieved 15 October 2017. ^ LaBau, Elizabeth. What is Invertase? About.com. Retrieved 10 April 2015. ^ Rainey, Sarah (18 October 2012). "So, Mary, how do you bake the perfect fondant fancy?". The Daily Telegraph. Retrieved 23 November 2013. ^ "My big fat British wedding cake". BBC. 8 October 2015. Retrieved 16 October 2015. ^ "Rolled Marshmallow Fondant". www.wilton.com. Retrieved 2018-06-04. ^ "Fondant vs Gum Paste vs Modeling Chocolate". myblueprint.com. Retrieved 30 March 2019. ^ "Tylose gumpaste recipe tutorial". designmeacake.com. Retrieved 31 March 2019. This page was last edited on 10 April 2019, at 17:45 (UTC).